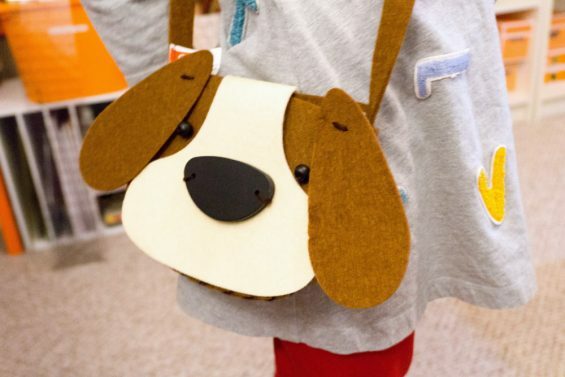 Here’s a simple, quick, cute project to make with your kids. 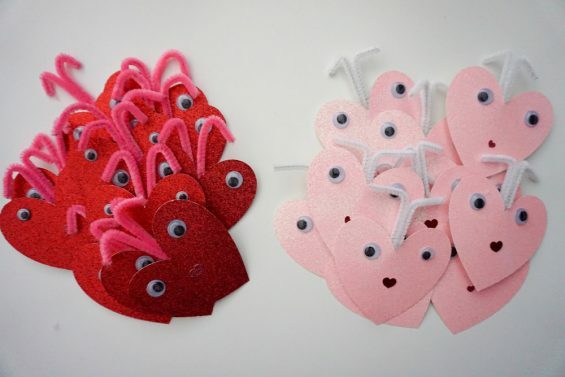 We made these googly-eyed love bugs for H’s class Valentines this year, but we’ve made them in the past just for fun. H’s party was postponed a week because of a giant snowstorm the night of my birthday that, combined with midwinter break, meant school was closed all of last week. It was the fourth snowstorm we’d had in just over a week, February has been wild around here. So one day while H was home and I was working, I set her up to work on these for school. 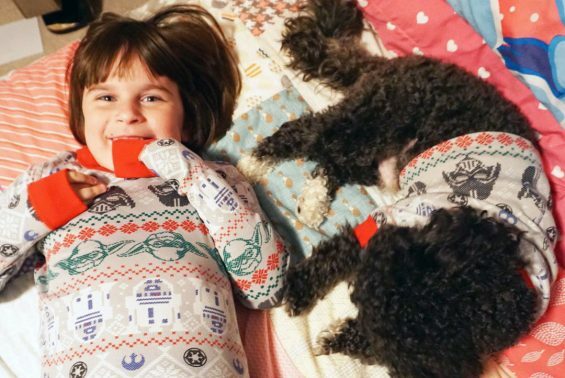 We gave H this Hape Puppy Pouch kit for Christmas, and we sewed it up this month. I haven’t seen it available anymore, I’m not sure if it’s just sold out or discontinued. But if you can’t find the puppy, here’s the fox kit. We had a wonderful Thanksgiving at our house this year. 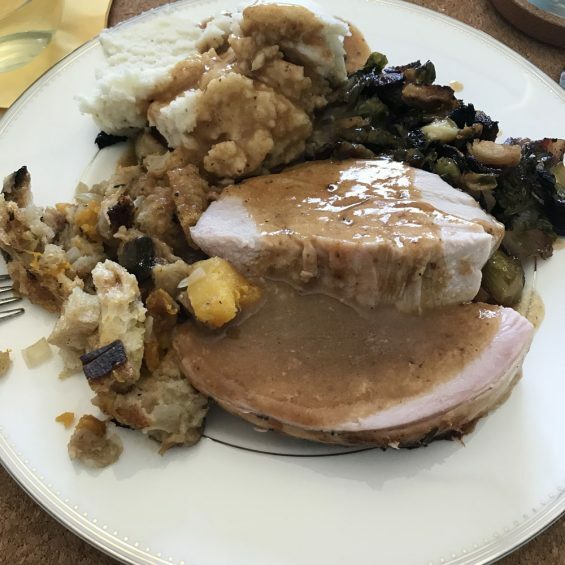 My family came over, there was turkey, I threw butternut squash in the stuffing, and I made an all-day bone broth with the turkey once the leftovers were eaten. I love this time between Halloween and the full sprint of the Christmas season. It’s not quite time yet to scramble for presents and decorate everything in site. It’s cozy, November is pure fall weather, and the leaves are still bright and everywhere on the ground. But I feel crafty, and I’m in the mood to be out trekking around the neighborhood, and the woods nearby. I had a batch of leaves ready to go, so when my nephew came over last week for a playdate after school I decided to make some turkeys. 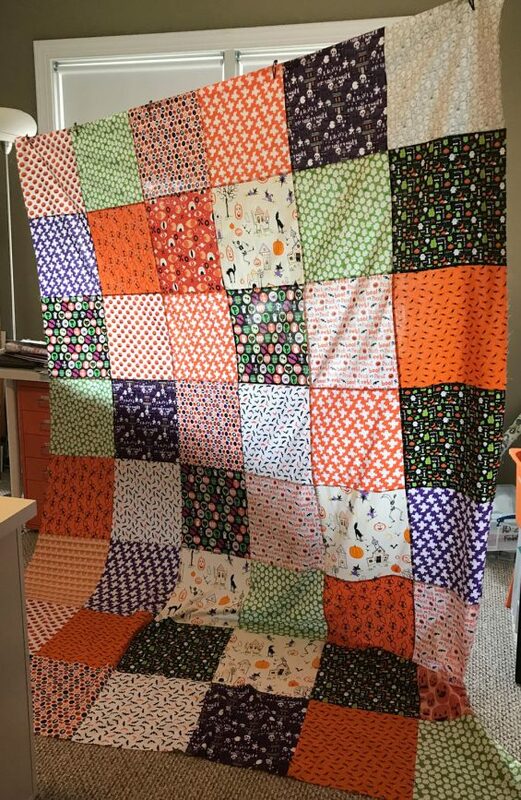 These pictures aren’t great, but it’s too drizzly a day to lay this quilt top out on the lawn for some photos, and I just realized my camera’s battery is dead. iPhone all the way. 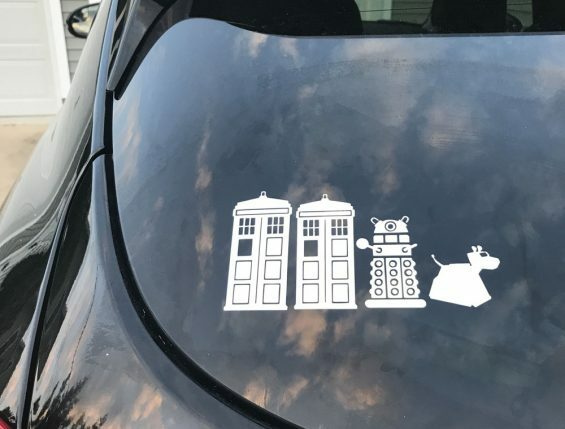 I got a new car at the beginning of the month, and I traded in my old car’s Thinkgeek Star Wars decals for some Doctor Who decals I made at home. 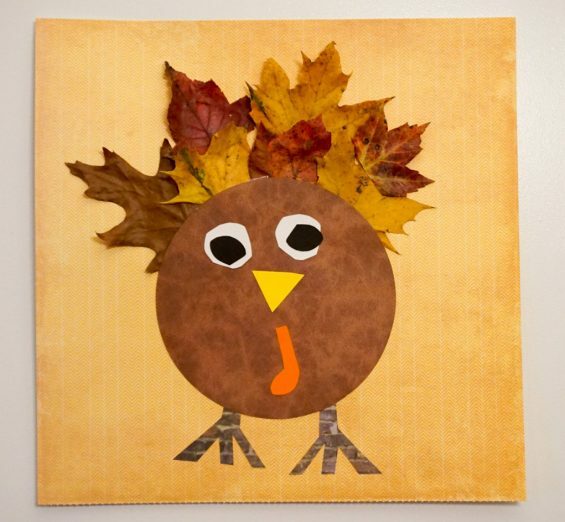 Other posts on this round robin: Our Quilt Block for the Kids Quilt Round Robin. I feel terrible that I don’t have any pictures of this quilt block finished. I definitely took photos of it, and now I can’t find them anywhere. I have a sinking suspicion I accidentally deleted the photos shortly after I took them. 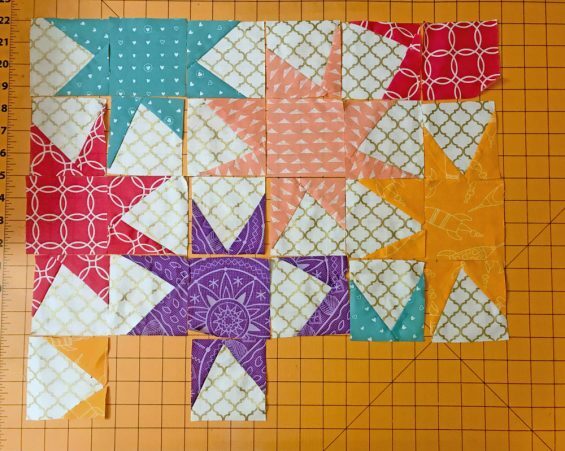 But this block was for Sophie’s stars quilt, and we had a lot of fun with this one! 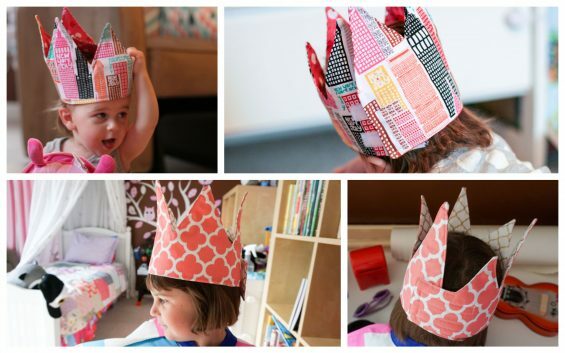 Make Your Own Fabric Crown! 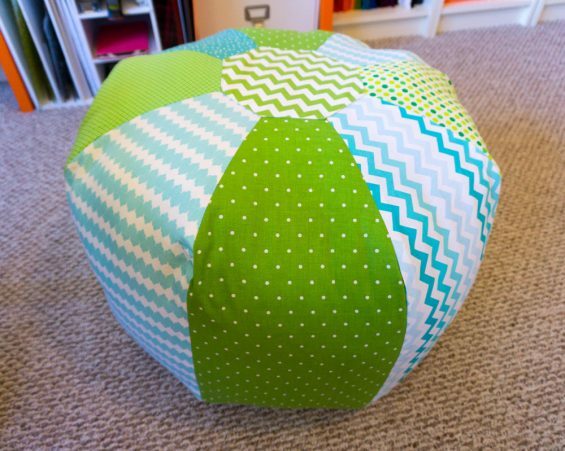 This one is an oldie but a goodie, a tutorial I did for GeekMom back in 2013. The photos don’t seem to work over there anymore, and since H outgrew that original crown a while ago, I figured I’d put up the tutorial here, too. With a few tweaks and new photos. I’m just now making her a brand-new one because we are obsessed with all things princess lately.